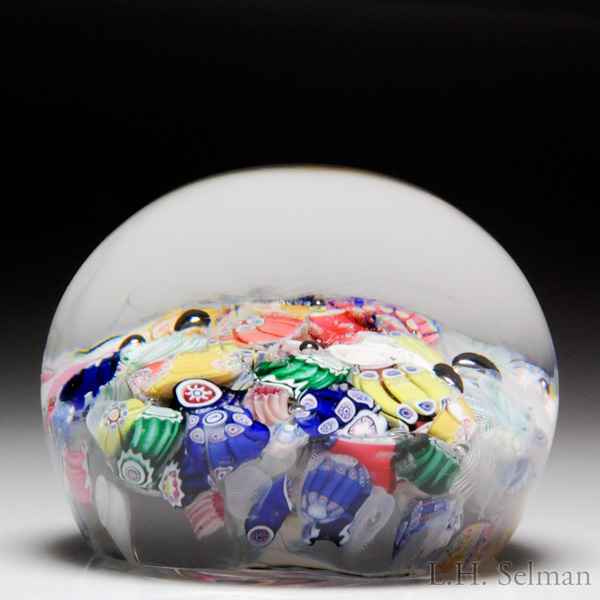 Antique New England Glass Company end-of-day scrambled millefiori paperweight. White and variously colored complex canes and latticinio tubes, including an iconic running rabbit silhouette cane, are loosely arranged over clear ground. Diameter 2 1/2".